While rare, an allergy to any type of oral appliance can happen. This is typically due to an allergy to nickel. However, it can also happen if you are allergic to titanium. Typically, these allergies don't hurt, so much as they are uncomfortable. Some of them are more obvious than others, but all of them should be addressed. Research has shown that people who had traditional braces in the past, tend to be slightly more susceptible to these allergies, but that is no guarantee you will ever get one. The most common symptoms of having any type of oral appliance allergy is dermatitis on the outside of your mouth. This often happens right around the outside of your lips. Sometimes the dermatitis is easy to spot, while other times it is very feint in nature. If you notice small bumps following any type of oral appliance being placed in your mouth, you need to call us so we can have you come in and check for the problem. Should you happen to be allergic to titanium instead of nickel, the main symptom to be aware of a tingling in the area where the titanium was placed. However, other symptoms include headaches and sores in the mouth. This allergy is much rarer than one to nickel, as most people's bodies will naturally fuse with titanium. That is why it is so commonly used as dental implant posts. 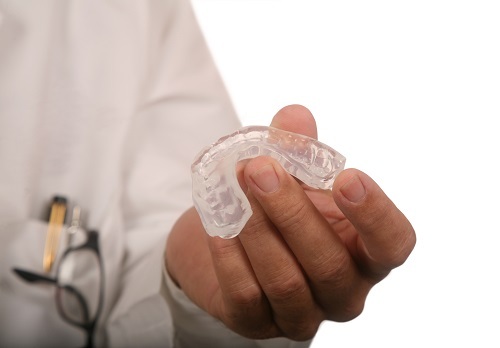 If you notice any type of adverse reaction after we have placed any type of oral appliance in your mouth, call us and let us know right away. We will have you come in and check out what is going on in your mouth. Then, we can decide what to do next to keep your mouth totally healthy.